DiceCT scans of a representative noctilionoid bat illustrating the 3D position of M. masseter; from left to right: 3D reconstructions of the M. masseter and the skull showing section planes; coronal sections at the posterior end of the M. masseter; oblique sections at the greatest length of the M. masseter, from diceCT scans of dissected masseters; and axial sections from diceCT scans of dissected masseters. Following more of this research on Twitter and read the study in The Anatomical Record! 3D volumes and fascicular reconstructions of temporalis (top) and superficial masseter (bottom) muscles from a crab-eating macaque, using diceCT image stacks and streamline mapping in ImageXd to model individual muscle fascicles. Find out more about ImageXd here and read the pub online at The Anatomical Record! Comparison of diceCT- and spiceCT-imaged cormorants in frontal view—note the drastic difference in staining time for comparable soft-tissue contrast. SpiceCT (selectively perfusable iodine-based contrast-enhanced CT) is particularly good at staining large specimens very rapidly. Iodine is perfused through the arterial system and across capillary beds, staining soft tissues nearly instantaneously and allowing for targeting regions of interest based on blood supply. The Witmer lab recently presented their new protocol at the Society for Integrative and Comparative Biology meeting in San Francisco on 4 January 2018 and are now sharing that poster widely on FigShare. Download the poster, and add a new tool to your arsenal! Thank you to authors Witmer, Porter, Cerio, Nassif, Caggiano, Griffin, and Ridgely. Find more of their work on the Witmer Lab homepage and on Twitter. 3D digital reconstructions of the musculature and joint mechanism in shrimp snapping claws; diceCT models alongside confocal imaging, high-speed video, and kinematic experiments helped to elucidate how the extreme performance of crustacean claws came about. See more of Dr. Kaji’s research online and head over to Current Biology to read the pub! Head over to the Archives of Oral Biology to read the pub and the Evans EvoMorph Lab webpage & Twitter to see more! CT Reconstructions of marine mammal penises inside vaginas. Images are rendered in sagittal plane for short-beaked common dolphins (D. delphis; top) and harbour seals (P. vitulina; bottom). Two-dimensional volume reconstructions on the left use sharp lung and smooth soft tissue algorithms. Three-dimensional volume renders on the right show erectile tissue in red and non-erectile tissue as transparent. Head over to Proceedings B to download the pub! Xenopus fans at all stages of metamorphosis can now access Porro and Richard’s (2017) diceCT digital dissection of an adult X. laevis on Xenbase! 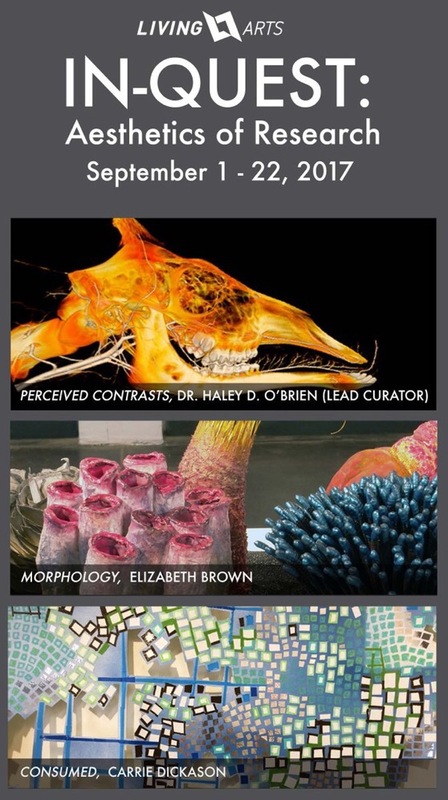 Perceived Contrasts scientific visualization exhibit opens tonight! Exemplar 3D reconstructed marsupial brain: Green/light red, the two olfactory bulbs; orange/blue, cerebral hemispheres; dark green, midbrain; yellow, cerebellum; cherry red, medulla. Visit the the University of Queensland Centre for Advanced Imaging online and read the open access paper at Scientific Reports! 3D model of Xenopus hard- and soft-tissue anatomy, digitally rendered from diceCT scans. Transparent outer layers allow for internal viscera, bone, muscle, and nerves to be seen. Download the dissectable 3D model from the Journal of Anatomy!